Oops… I did it again. I made another cake roll that’s full of chocolate and coconut. This Chocolate Coconut Cake Roll has a chocolate cake, is filled with a coconut whipped cream, then topped with chocolate ganache and toasted coconut. Looking for the perfect cake to wow your guests? This. Is. It! I am no stranger to cake roll recipes: I have more than 20 recipes for cake rolls on this website. Cake rolls are how I roll, if you will. Back in the day I was scared of making jelly roll cakes because they just seemed so hard and daunting. 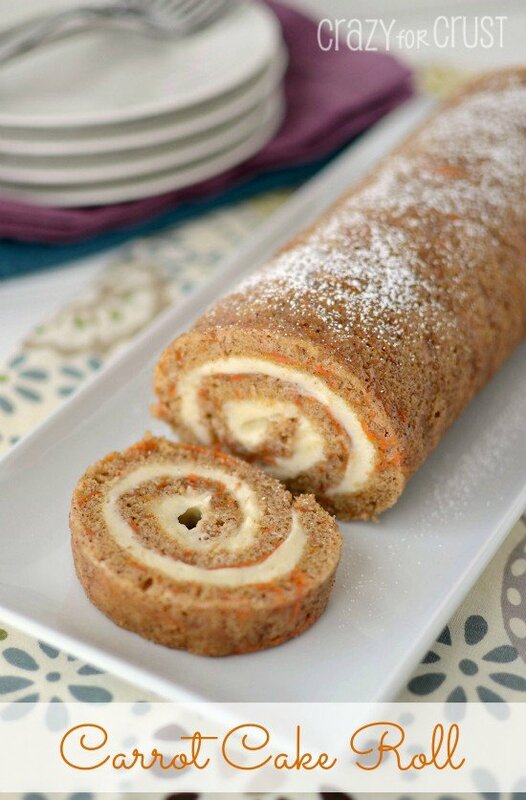 And then I made a carrot cake roll several years ago for Easter and realized how easy it actually is! I’ve made chocolate cake rolls and vanilla cake rolls; pumpkin rolls and eggnog rolls. 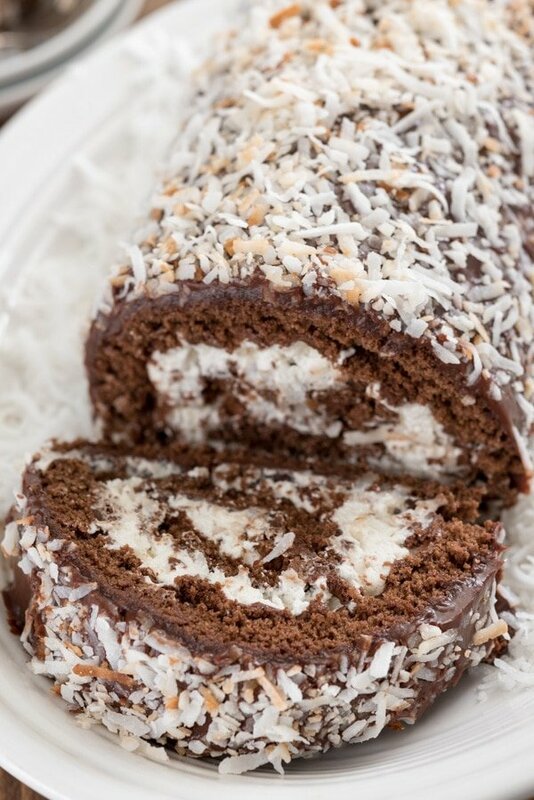 Yet I still have more to make…like this chocolate coconut cake roll. It’s a chocolate cake base filled with coconut whipped cream and topped with a gorgeous silky chocolate ganache and more toasted coconut. 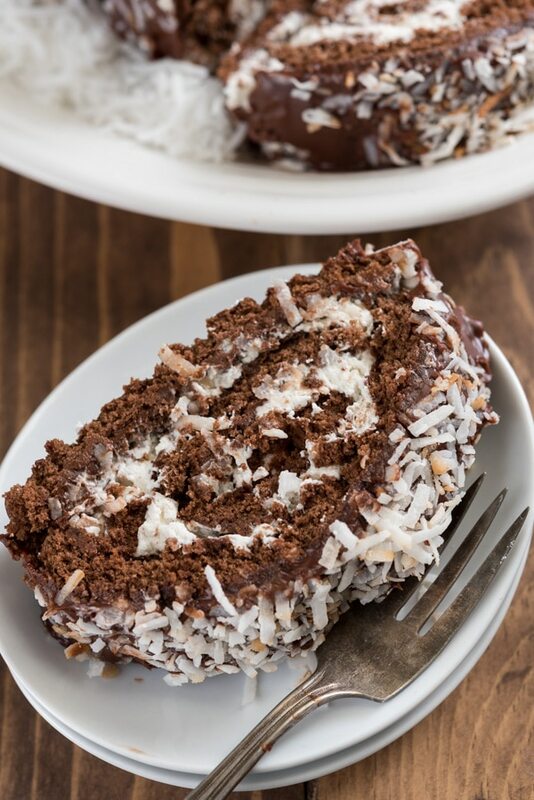 If you’re a coconut lover, this chocolate coconut cake roll is going to be perfect for you! I like to think that I’ve re-introduced the world to roll cakes. I see them so much more now online and it makes my heart happy. They’re easy to make even though they look hard and they have such a huge WOW factor. This cake roll has so many elements and layers that I just want to start talking about them. 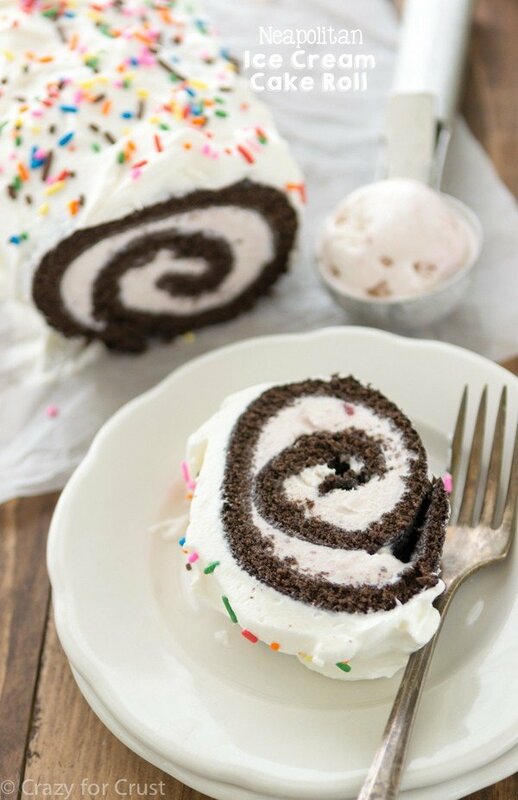 This might just be one of my favorite cake roll recipes ever. But it has a lot of competition. What’s in a Chocolate Coconut Cake Roll? It starts with my chocolate cake roll base, which is simple to make using one bowl and a hand or stand mixer. The chocolate cake is filled with a fresh coconut flavored whipped cream. I toasted 2 cups of coconut for this dessert. Half gets folded into whipped cream that’s scented with coconut extract, the other half gets dusted on top. Then the cake is topped with chocolate ganache and more toasted coconut. It’s like a chocolate and coconut lover’s dream, this dessert. TIP: Learn how to toast coconut with my tips and tricks. It’s simple but can go horribly wrong if you don’t do it right. How do you make a Cake Roll? It’s so simple, but you do need one special piece of equipment: a cake roll pan. Cake roll pans come in all sizes. My recipe fits a 10×15-inch jelly roll pan, so be sure to get that size. Beat your eggs for the full time specified. If you don’t, your cake will be flat, dense and/or tough. Bake it for 10-15 minutes (depending on your oven). It should bounce back when you touch it. Roll it while it’s hot in a towel coated in powdered sugar then let it cool. Once cool, you can unroll it and fill it as desired, then roll it back up! Why did my cake roll crack? I have no idea why the cake cracked. I get comments on my cake rolls a lot that someone has had a roll crack on them and they want to know why. The answer? I don’t know. I baked it too much. I didn’t bake it enough. I beat it too much. I didn’t beat it enough. Grey’s Anatomy was a re-run. Get my drift? They crack for any number of reasons. But a cracked cake roll isn’t a loss, obviously. This one cracked bad. One whole section practically broke off one end. What did I do? I filled it like normal. The crack got rolled into the cake. Then I poured ganache over it. Ganache and coconut hide a lot. Chances are you didn’t beat the eggs long enough. The eggs MUST be beaten for at least 3 minutes with a hand or a stand mixer, not by hand. You’ll see as you beat the eggs they’ll get thick, foamy, and dark yellow. This gives the cake it’s airiness. That said: this is not a traditional cake recipe. It’s not light and fluffy like a layer cake; it’s more dense and sturdy by design. So keep that in consideration as well. Can I use a cake mix to make a cake roll? Yes, sort of. A full cake mix will actually make two cake rolls, but not unless you add other ingredients. If you want to use a cake mix to make a cake roll use this recipe. Can I freeze cake rolls? 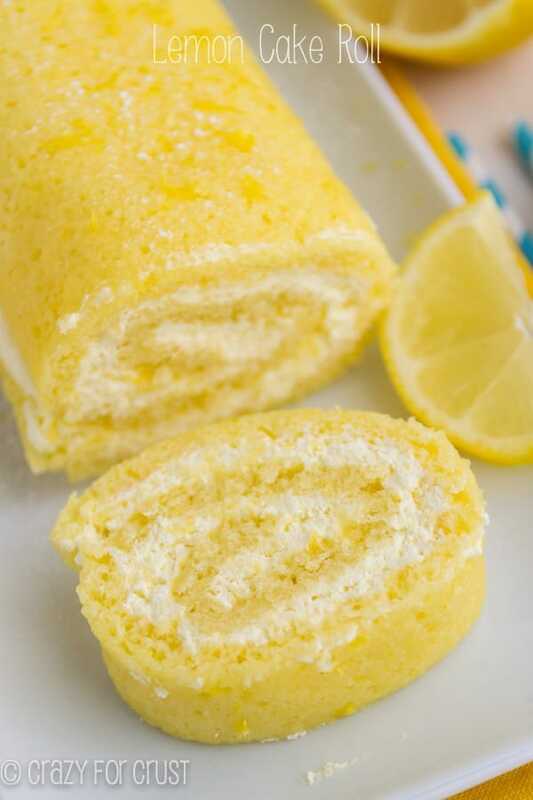 If your cake roll has a whipped cream filling you can freeze it if there is no fruit. 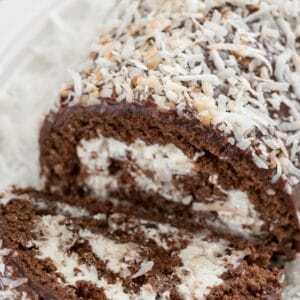 This Chocolate Coconut Cake Roll can be frozen even though it has whipped cream filling. Cake rolls with ganache topping or whipped cream frosting (like this one) should only be frosted/glazed after thawing. Freeze them after filling but top them after thawing. Cake rolls with fruit should not be frozen (i.e. my Strawberry Shortcake Cake Roll). 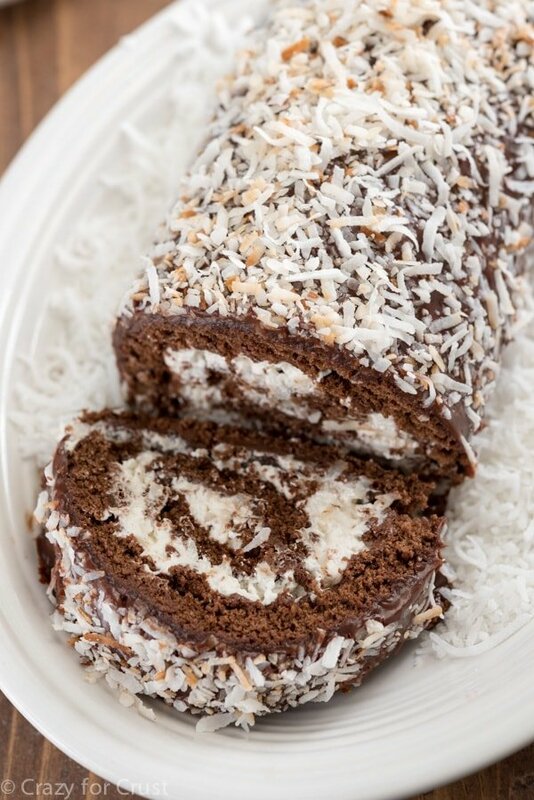 A Chocolate Coconut Cake Roll is the perfect cake roll recipe if you love chocolate and coconut and is perfect for any holiday. If you have any more questions, be sure to check out my cake roll tutorial and my rules for cake roll making. A chocolate cake roll that's filled with coconut whipped cream and Nutella, then topped with ganache and toasted coconut! The perfect showstopper cake that is so easy to prepare! Spread in prepared pan. Batter will be in a very thin layer and you will need to use a wooden spoon or spatula to spread it to all the corners of the pan. Make sure it's even. Tap the pan on the counter a few times to release air bubbles. Bake for 10-15 minutes. You’ll know it’s done because if you lightly poke the top with your fingertip it will slightly bounce back. Toast the coconut by adding it to a medium skillet and cooking over low heat, stirring constantly, until it turns golden. Immediately remove to a plate to cool. Make the Filling: beat 1 cup of heavy whipping cream in an electric mixer fitted with the whisk attachment. (You can also use a hand mixer, but it will take longer.) Slowly add in powdered sugar during beating, one tablespoon at at time. Add both extracts. Beat until whipped cream forms. Stir in 1 cup of toasted coconut. Assemble Cake: once the cake has cooled, unroll it carefully. Spread the whipped cream on the cake, leaving 1” without filling at either end. Re-roll cake, scooping out any filling that spills out as you roll. Cover with plastic wrap and chill for at least one hour before frosting. Make the topping: place chocolate chips in a bowl. Heat 3/4 cup heavy whipping cream in a small saucepan over low heat for a few minutes or in the microwave for 60-90 seconds until it just simmers. Pour over the chocolate chips and let sit for one minute, then whisk until the chocolate is melted and smooth. Chill for about 10 minutes. Place cake roll on a wire rack set over a cookie sheet. Pour the ganache over the cake evenly. Top with remaining toasted coconut. Chill until set. Want even more chocolate? Spread 3/4 cup Nutella over the cake before adding the whipped cream filling. Dorothy,, are we sisters from another Mister..lol..i LOVE coconut..and then you add chocolate, and i am in hog heaven!!!! !..the coconut truffles had me salivating and then i spotted the cake roll!!! !..oh my..i have been watching my sugar and carb intake because i am borderline diabetic..but i am so gonna cheat and make both of these yummy’s!!!!!.. I just received a kitchen aid mixer for Christmas and have been on a baking frenzy. My friend has a New Years birthday and I whipped this up today- easier than I anticipated but I’m afraid the jelly roll pan I used was a little too large and my cake may be slightly overlooked- that being said I enjoyed the tips and tricks, thank you for sharing this recipe!! Cake Roll Heaven!!! Oh my, I love them all!! Can you create a dinner cake Roll?